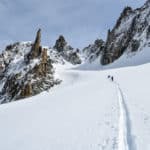 Aspirant mountain guide Mathis wants to take you on an exciting ski touring adventure on the magnificent slopes in Chamonix, France. In an area as enormous as Chamonix, it can be a challenge to know where to start. However, some people enjoy this uncertainty because they believe it is freeing. And for those people, this guided ski tour will be perfect. 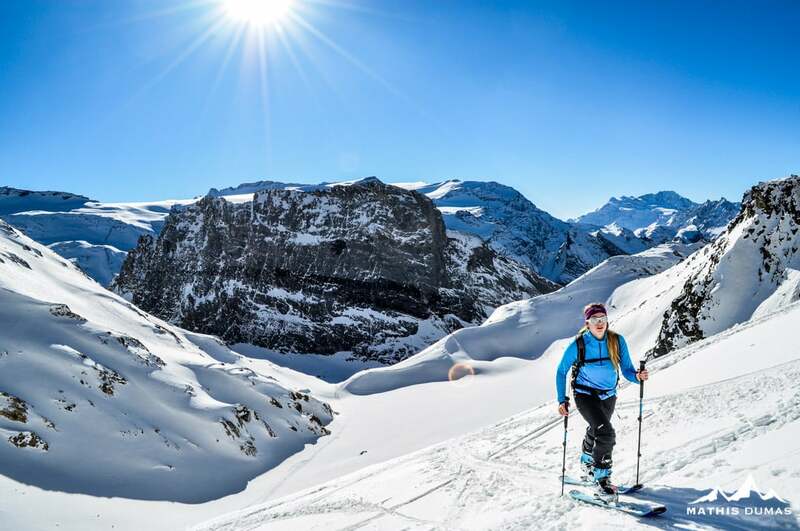 The focus of ski touring is exploration. It’s about skiing up and down the snow covered terrain of an area outside the boundaries of established resorts. It is about visiting remote places in the mountains, or visiting quiet patches in the wilderness. It is about the journey just as much as it about the destination. And when you have the chance to look up and see the French Alps throughout that journey, you can be sure you will never forget it! We can adapt the itinerary to your skills. 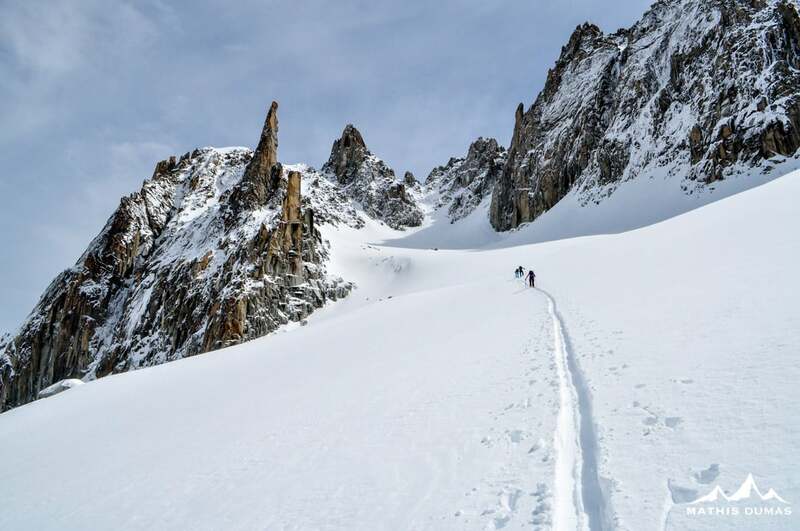 Chamonix’s backcountry terrain is so vast that I can guarantee we’ll find the perfect slopes for you. Whether it’s your first time ski touring or you are already an expert, we’ll find the terrain to suit your expectations. I know you won’t regret joining me on this guided ski tour. 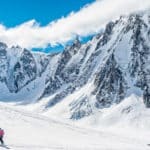 Not only will you have a great time skiing to your hearts content, but you will also get to gaze at the gorgeous scenery that Chamonix is famous for. 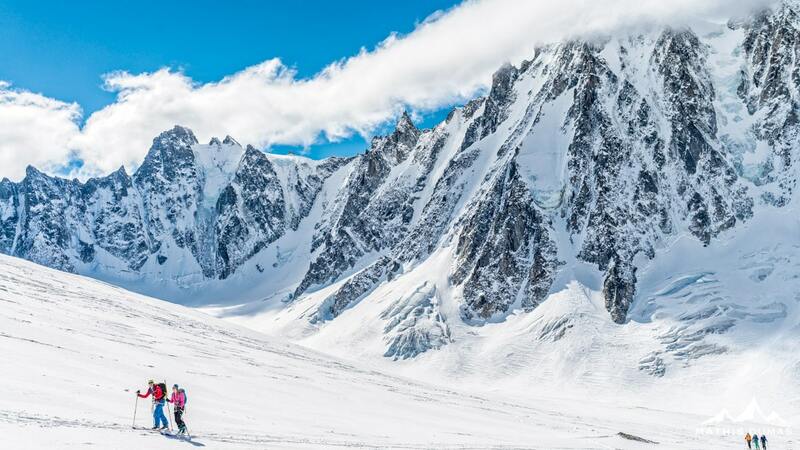 And if you’d prefer to do some off-piste skiing, you can also join me for a day of freeride skiing in Chamonix. We’ll take advantage of the ski lifts for the ascents! DVA, snowbag, and other equipment relating to a glacier, if needed, will be provided and is included in the price. I’m a young photographer and aspirant mountain guide based in Chamonix, France. As a mountain guide, I offer alpine guiding, expedition support and adventure photography services. As a photographer, I like to work in wild and remote locations and I’m specially inspired by skiers, climbers and the outdoors in general. 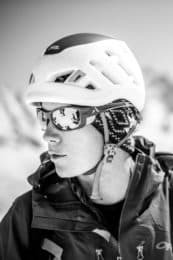 I’m passionate about taking photographs in an alpine environment and have worked with several of the athletes of the new generation: Matheo Jacquemoud, Tim Alongi, Yann Borgnet and Antonin Cecchini, among many others. I’m sponsored by The North Face, Petzl, Scarpa and Zag Skis, among other brands. and his passionate about getting people to know and see his backyard shows! We will definitely be coming back to Chamonix to ski tour again! Off piste skiing - 1 day - Interm. Off piste skiing - 1/2 day - Interm.